Rod Campbell’s classic children’s book comes to life in a party range inspired by Dear Zoo. 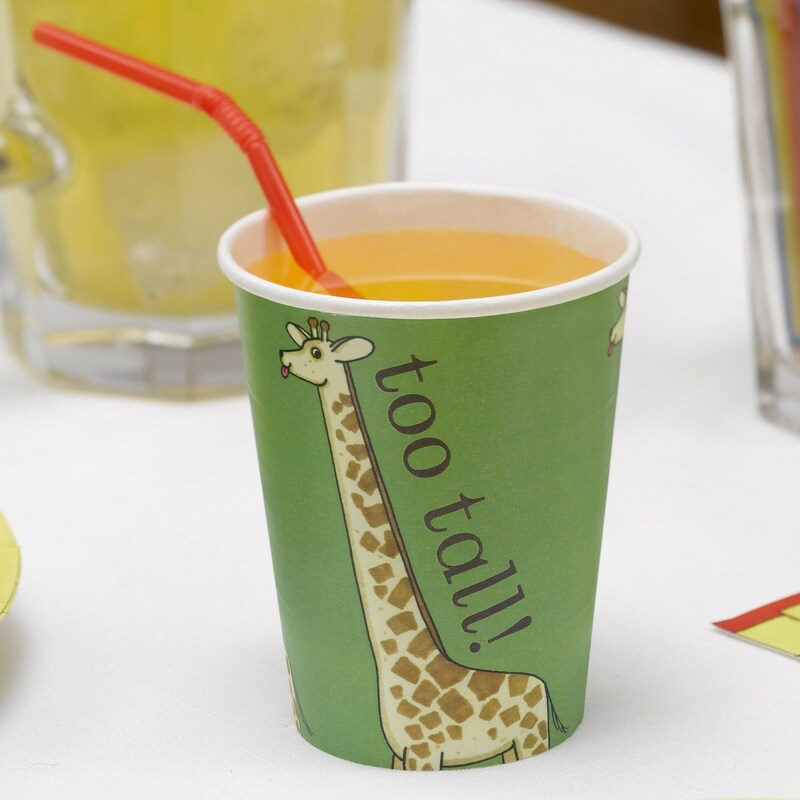 The range includes party essentials such as these sturdy paper cups, adorned with an illustration of the ‘too tall’ giraffe from the story. Featuring artwork created by Rod Campbell against a bold green background, these lovely cups bring a pop of colour to your party table and look wonderful co-ordinated with the other party pieces in the Dear Zoo range. Each pack contains 8 Paper Cups.